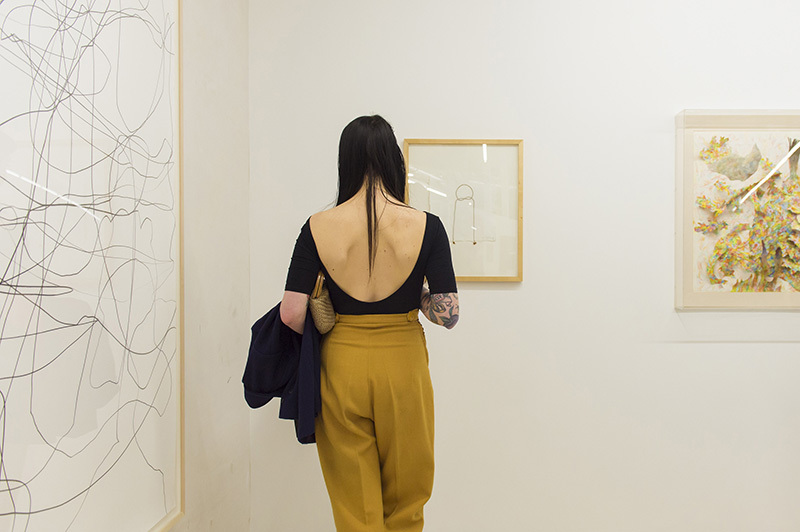 After last year’s success, Paper Positions will be returning in the form of an art fair during Gallery Weekend. From April 28th-30th, Paper Positions will be presenting over 30 galleries from Germany, the U.S., Austria, Romania and the Netherlands. The exhibition will be held on the first floor of the heritage-listed Bikini Berlin. The collective exhibition will focus on drawings, collages, paper cuttings, photography, art books and other objects created from paper. The stances taken by the artists vary greatly but all invite the viewer to discover and consider new positions created on and with paper. Galerie Thomas Fuchs will be presenting the work of Patrick Angus (1953–92). The recently rediscovered American social–realist painter, who died in 1992, created intense observations and personal accounts of the époque and gay milieu of New York during the 80s. Despite his work being unacknowledged by the American art establishment, he has attained a place within New York’s cultural history. 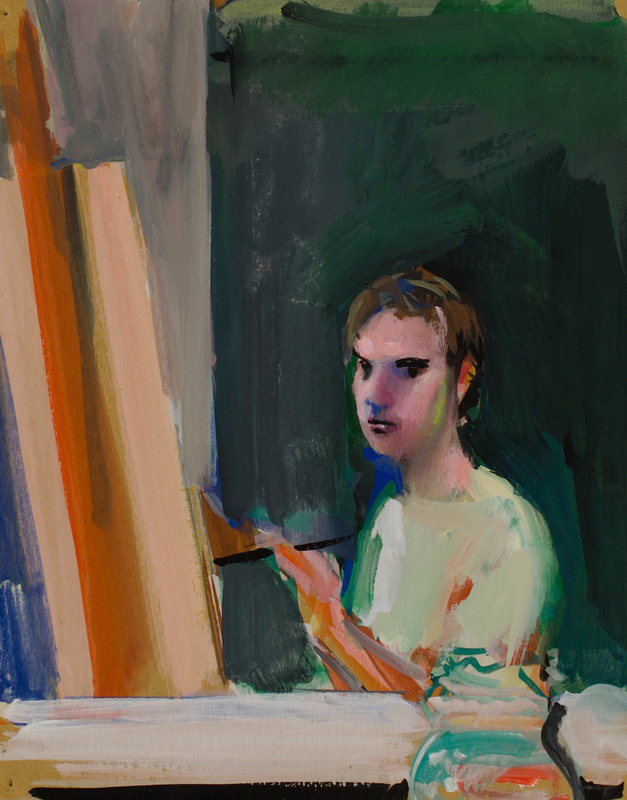 As well as his work being displayed at Paper Positions, his paintings will also be shown later this year in a solo exhibition in the Kunstmuseum Stuttgart. Another special highlight of the exhibition will be the rediscovered work of Hedda Sterne (1910-2011), from the 1940s, which will be represented by the Nasui Collection and Gallery. The Romanian-American artist is widely known as the only female artist within a group of Abstract Expressionists known as ‘The Irascibles’, which consisted of Jackson Pollock, Willem de Kooning, Mark Rothko, among others. As a self-taught artist she was known for her stubborn independence from styles and trends. Her early work is difficult to categorize and consists of a variety of mediums rather than definitive statements, ranging from surrealist techniques to conceptual painting. Paper Positions will also be exhibiting some of the most current examples of the use of paper as an art form. One of the noted highlights of the 3-day show will be the presentation of Angela Glajcar‘s work. The artist works primarily with paper sculptures that are light and delicate yet command a strong sculptural presence. 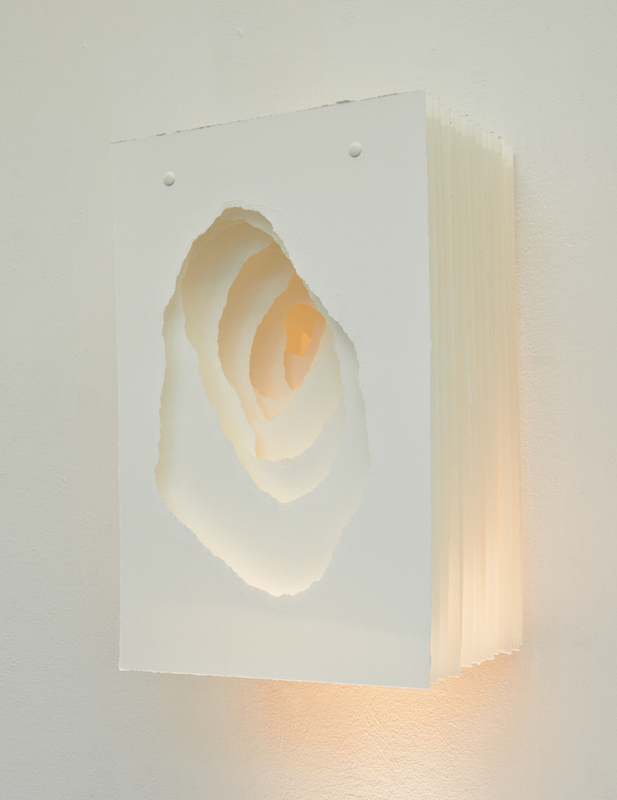 The staggered arrangement of the sheets of white paper and torn edges evoke associations with glacial or rock formations, while light and shadow fall on the surface of the sheets, rousing the interior of the elongated structures. Paper Positions is providing the viewer with a broad overview of the progressions of contemporary paper art, bringing together artists and media that have been previously overlooked, as well as popular and conventional practices. The artists mentioned are only a handful of the talent on offer and other highlights to watch out for include Werner Berge‘s Pop Art paintings from the 60s, Concrete Art by Hartmut Böhm and the work of Alfonso Hüppi.